Fabio Quagliarella scored a hat-trick as Juventus hammered Pescara 6-1 at the Stadio Adriatico. Fabio Quagliarella scored a hat-trick as Juventus put their first defeat in 50 Serie A games behind them in style at the Stadio Adriatico. By firing six past Pescara, Antonio Conte's side extended their lead at the top of Serie A to four points over Inter Milan, their conquerors last week who travel to face Atalanta on Sunday night. 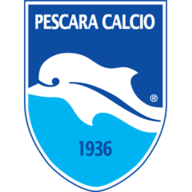 Arturo Vidal opened the scoring and Kwadwo Asamoah and Sebastian Giovinco were also on target for the visitors, while Emmanuel Cascione scored Pescara's consolation. It did not take long to realise which way the game was heading as Juventus took the lead in the ninth minute having had Pescara on the back foot. Vidal was picked out by Giovinco and he became the first to beat Mattia Perin with a well-directed shot. Quagliarella missed a good chance just two minutes later, but he was just getting warmed up. In the 22nd minute, he scored his first and Juve's second, sweeping the ball into the bottom-left corner of the goal from 15 yards after being set up by Mauricio Isla. A free-kick from Quintero hit the inside of the post with Gianluigi Buffon beaten in the 24th minute and, 60 seconds later, Cascione headed the ball in off the post to halve the deficit. Normal business was restored five minutes later, though, when Asamoah scored with a low overhead kick on the six-yard line after Quagliarella had lifted the ball up for him with his heel. Quagliarella then set up Giovinco for an unstoppable volley to make it 4-1 in the 37th minute as Juventus ran away with the game. Claudio Marchisio came to Buffon's rescue to make an acrobatic clearance off the goalline as Pescara almost grabbed a second, but Quagliarella put the result beyond any doubt on the stroke of half-time when he netted his fourth of the season with another accurate effort from just inside the penalty area. The best was yet to come from the Italy international, who completed his hat-trick in style in the 53rd minute. He met Andrea Pirlo's corner with an overhead kick into the top right-hand corner of Perin's goal, leaving the Pescara goalkeeper with no chance once again. He was soon replaced to a standing ovation from all corners of the Adriatico. Giovinco did not want to be outdone by his team-mate, but he only found the side-netting in the 76th minute having taken the ball past Perin, missing out on what might have been his second of the game, although Juventus had already more than done enough.